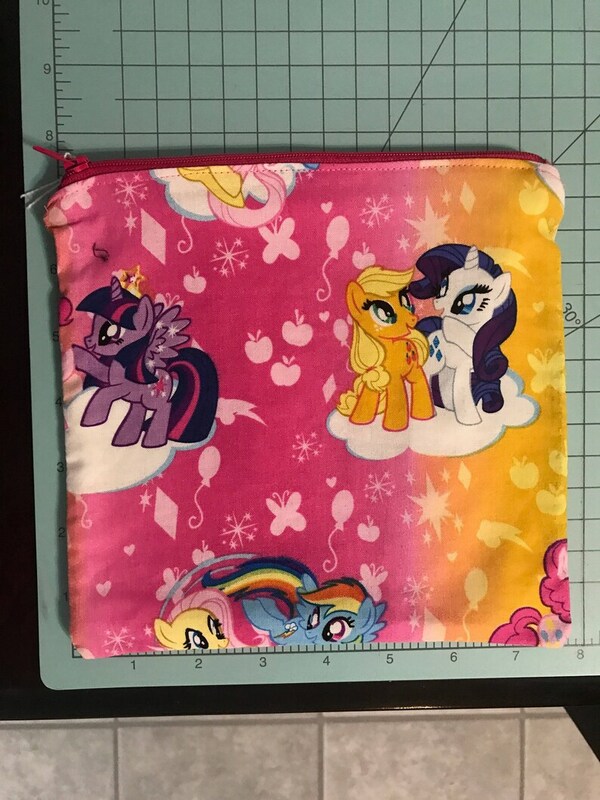 Lined reusable sandwich bag. A perfect way to save money on sandwich bags! The sandwich bag measures approximately 7.5” by 7.5”. It is the perfect size for a sandwich, chips, crackers, carrots, grapes, and so many more snacks. Each bag is fully lined with white food-safe PUL, which makes it water resistant and enables you to pack damp items. The PUL makes clean up a breeze. Easily wipe it clean with a wet cloth. For bigger messes, the bags are washing machine safe. Simply wash in warm water and dry on low heat or hang to dry. 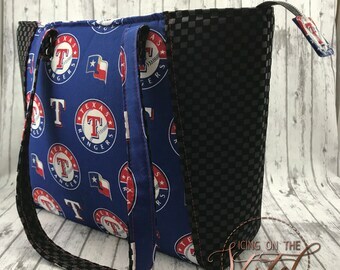 Each bag closes with a coordinating zipper. These reusable bags are also great for non food items. Use them for toys, crayons, hair bows, make up, and so much more! !